Kumkuma Panchdasi mantra is very powerful. 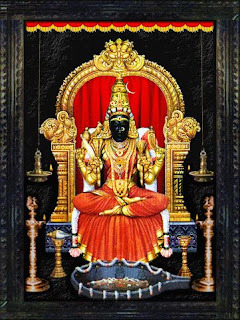 Kanchipuram Kamakshi Amman temple in Tamilnadu performs puja according to this mantra grandeur. The mantra is chanted for the happiness and prosperity of the family. The Goddess Kamakshi prevails in the form of Shakti. Among the 51 Shakti Peetas across the country, Kanchi is noted as “Nabisthana Ottiyana Peetam”. 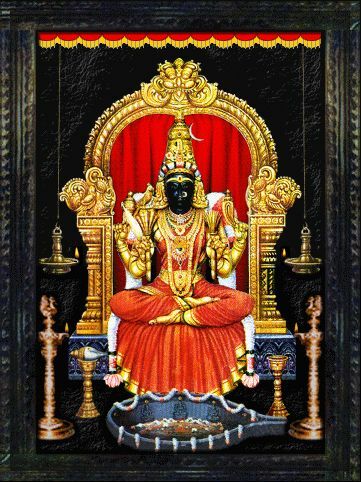 The Goddess is called as “Sri Kamakshi. The word is derived from the heritage “Ka” means Goddess Saraswati (God of Education), “Ma” means Goddess Lakshmi (God of Wealth), “Akshi” means Eye. 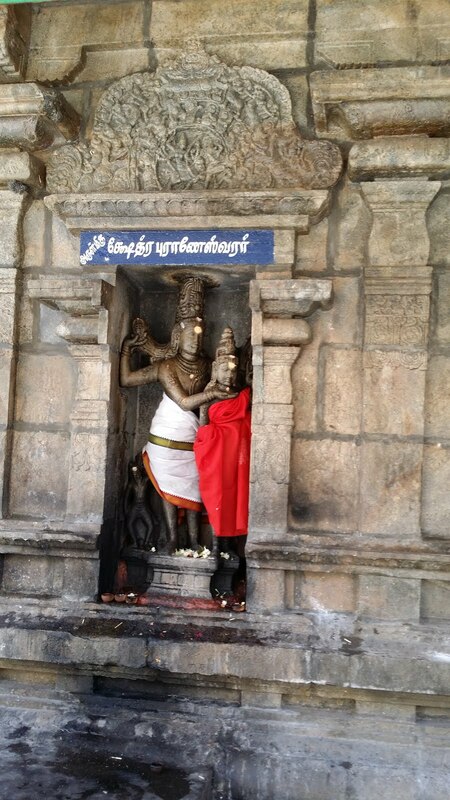 The name refers as the god lives in Kanchi with Goddess Saraswati and Goddess Lakshmi as her both eyes. The Lalitha Sahasranama poem is an idle example for the goddess power stating, “Sachamara Ramavani Savya Dakshina Sevitha”. Kanchi is also called as Satyavrita Kshetra. 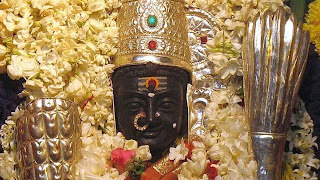 The Goddess worshipped Lord Siva by creating a mud idol in Kanchi. At that moment, Lord Siva incarnated as Kamba River with high tides to test the worship of the goddess, the goddess grasped the idol closely with her two hands from eroding in the tides. This prevented the idol from getting eroded in the floods. The goddess also performed Pooja by sitting in a needle tip surrounded by “Panchakagni” (surrounded by 5 fires) to free herself from the interest of livelihood. Lord Shiva became happy, gestured before her and married the goddess. Though there are many Shiva temples in the city, the only temple to have the sanctorium of the goddess is 'SRI KAMAKSHI AMMAN TEMPLE’. There are also eight other Shakti goddesses surrounding the temple. 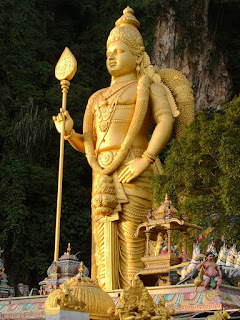 The place where the goddess resides is “Gayatri Mandapam”. The Goddess lives in a temple in 3 forms. They are Sri Kamakshi, Sri Bilahasam and Sri Chakram. The goddess is in a sitting posture of “Padmasana”. The goddess contains Pasa, Angusa, Pushpabana and Sugarcane in her forehands. Thanks for droppping in your valuable compliments that make me serve you better. When a bird is alive, it eats ants. When the bird is dead, ants eat the bird. Time and circumstances can change at any time, Don't devalue or hurt anyone in life. One tree makes a million match sticks but only one match is needed to burn a million trees. So be good and do good.